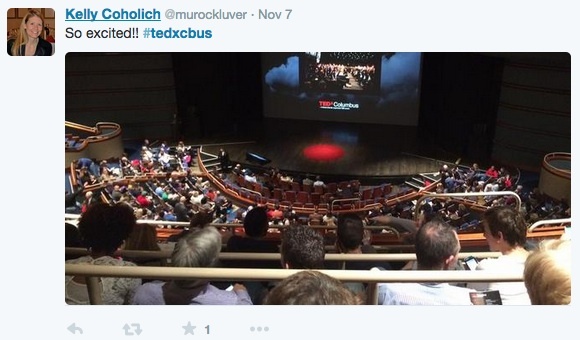 This was my first time attending a TEDx event. Sure, I have watched TED Talks online, but being at an event is a wholly different experience. It was electric; the buzz and anticipation were palpable. People meeting for the first time, seeing others after a long time, and many asking if this was their first TEDx. An impressive 900 people were in attendance—a sold out event. The day began at noon with lunch, after which we were welcomed into the theater, music booming. I found a seat, introduced myself to the people around me, chitchatted. Honestly, I hardly felt like I was there to watch ‘talks’; It felt like a show, and once the organizers took the stage that’s exactly what they called it—a show. This one with talks, dance and music, all interesting and engaging. There were three sessions and between each a break, with the hosts encouraging us to change seats to meet more new people. It’s a fantastic way to get different vantage points in the theater as well, but if you’re a note-taker like me, avoid the last row at the Riffe. It can get surprisingly dark up there. The first session inspired action. 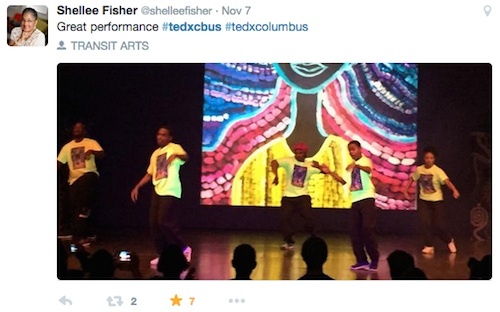 It was bursting with the energy of opening the event and included talks on education, art and math, and a performance by Transit Arts of poetry, dance and music. Feet were moving and hands clapping. Then came the first break: snacks and, for many of us women, a long bathroom line (and a little bit of worry that we’d make it back in time). The second session focused on what’s percolating beneath the surface with talks on fracking, nanotechnology, psychology and racism. I’m a science person, so it was a nice lesson for me to see two speakers, Jessica Winter (nanotechnology) and James White (bias/racism), actually enlarge and deepen their topics by including their own personal stories. Another break brought out irresistible pastries and sweet treats. Some, I recognized from a local high-end bakery. As I reflected on the lunch and two breaks, I have to say, I was pleasantly impressed at the quality of food at this event. The lunch had great options for any dietary preferences and the snacks were ample and filling. The third session ignited the flame and started with music from Damn the Witch Siren. It was hip. It was cool. It was as if they had titled their piece “Sensory Overload,” and it reminded me that I am old. It was also, I suppose, a good segue into the first talk which compared the Columbus punk rock startup of the 90s that fizzled with the Columbus tech startup of today that the speaker Jay Donovan argues (based on a 4-part model) will soar. This session also included three so-called “passion” talks that are short and more personal. The passions are trains, teen parents, and thrift store photography (I’m being brief, but at 5 minutes long, why not just watch them?) The most memorable, for me, was the last talk by Chad Bouton whose visionary research has given the freedom and independence of movement to a paraplegic student. The talk was personal, touching, grounded in science, and when the student came out on stage—emotional. Whew! After three sessions, I found myself in a strange paradoxical space—both invigorated and exhausted! I’m an extrovert, so being in the TEDx environment is energizing for me, but at the end of this day, I couldn’t possibly mingle and meet more people during the happy hour. There was so much to think about, process and explore, that I just wanted to get back to some place quiet with my own thoughts. Luckily, for an extrovert it doesn’t take that long. The walk to my car and drive home was all I needed. I walked in the door and was off processing all that I had learned by sharing the day with my family! Rashmi Nemade is principal at BioMedText, Inc.
Editor’s Note: The logic behind tweet selection is there’s no real logic. 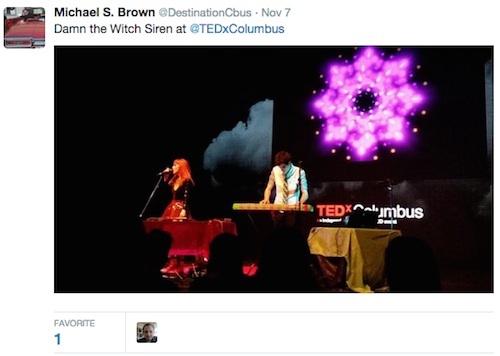 Searching by #tedxcbus and tedxcolumbus, we tried to cover the variety of talks and performances, and include a variety of voices on twitter. We did not avoid negative tweets. We didn’t find any. 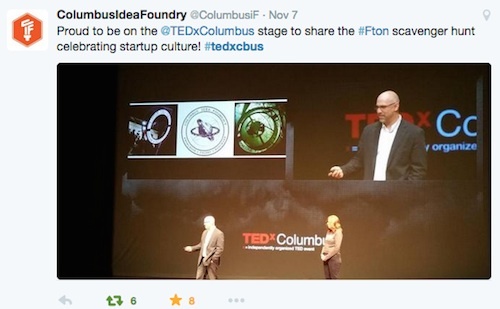 Perhaps Columbus critics were just nice enough to leave off the hashtag.